At the Feast of the Epiphany, Manila Cardinal Luis Antonio Tagle celebrated Mass and urged the faithful not to waste God’s blessing of hope. He was speaking directly to a group of reformed drug addicts supported by the Fazenda da Esperança (Farm of Hope), a church-run drug rehabilitation center in Masbate, an island province of the Philippines. In his homily, he extolled the unique mercy exemplified by Jesus and prodded his audience to look upon themselves and others with eyes inspired by the light of Christ, rather than the narrow, limited and dark judgment of man. At the closing of Pope Francis’s Jubilee Year of Mercy, the members of the Philippine church seemed perplexed by both the meaning and essence of this theme as it played out in their daily life. The election of President Rodrigo Duterte early in 2016 revealed a deep yearning of the country’s poor and disenfranchised to have their voices heard. But the president’s national ambitions, as expressed in his war on drugs, raise a few contradictions. Dubbed “Project Double Barrel Alpha,” the administration’s anti-drug campaign boasts of the arrests of 44,070 people during thousands of anti-drug operations. 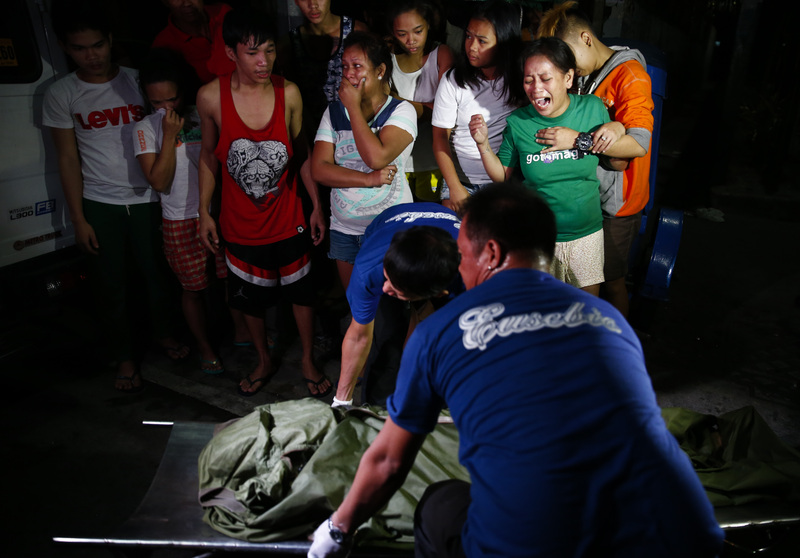 The Philippine National Police acknowledges 2,206 deaths during those arrests, but separate tallies done by human rights groups and journalists using police data suggest a figure closer to 6,000. One might wonder if the president is responding to the needs of his constituents or rallying for their disappearance through less-than-legal measures. Snuffing out the drug user along with the drug trade is confounding for the believer who has been carried away by Mr. Duterte’s personal charisma and demonstrated ability to connect with the everyman. But the president has not been sparing in his admonition of the church as “the most hypocritical institution” in the Philippines. The relative silence of the church amid the storm of extrajudicial killings has been noted, but the church’s restraint has not meant inaction. Bishops, priests and lay leaders have had countless discussions concerning their own local responses to the policies set by the state. A sense of the importance of life and how every life is a vessel of hope has not left the Philippine church, despite what could be read as its resignation following Duterte’s regular chastisement. Last week, President Duterte lashed out against the church again, likely in response to the growing criticism mounted by church leaders against the administration’s drug war. One of the most stirring examples was a photo exhibit on extrajudicial killings presented by the Redemptorist Fathers in Baclaran Church, Manila. The exhibit shocked the faithful. Mr. Duterte responded with a chiding of church leaders. “The [critical] priests should take shabu,” as the local version of methamphetamine is known, “to understand [the war on drugs]. I recommend one or two of the bishops take it too.” These remarks were uttered a day after his office sent Pope Francis a message of gratitude for visiting the country in January 2015. A cursory look at Philippine church’s history should provide ample inspiration to its bishops, priests and lay leaders to continue to take up the advocacy of life in such adverse situations. In many of the country’s darkest periods—under martial law and even in contemporary pockets of conflict among armed groups—church leaders have been consistent in their championing of the last, the least and the lost. Now is no different, only that apart from the many challenges already besetting the institution, the church must also contend with politics fueled by opportunism (nothing new here) and the allure of quick-fix development. Drug rehabilitation would likely to draw more from the state treasury than, say, the provision of bullets to directly “deal with” drug users. “It comes out cheaper,” one crude commentator notes. But Cardinal Tagle’s call for hope has not fallen on deaf ears. The resolve of Philippine church leaders made it possible for the country to host to the fourth World Apostolic Congress of Mercy from January 16 to 20, 2017. Themed “Communion in Mercy, Mission for Mercy (Called by Mercy, Sent for Mercy),” the event gathered bishops, priests, and laity from over 35 countries worldwide to reflect on salvation history, the example of Jesus and the mercy at the heart of the Gospel. It was an exciting time for the local church to provide an experience to many of the foreign participants who may never have seen or understood the quality that mercy takes in a country like this. Given our current predicament, it also provided a welcome opportunity for the Philippine church to tap into its own opportunity to epitomize mercy and share the light of Jesus in dark times. Included in the lineup of activities during the weeklong event was a massive administering of the Sacrament of Reconciliation undertaken by 200 priests and bishops at the National Shrine and Parish of Padre Pio in Santo Tomas, Batangas. This communal penitential celebration was meant to induce a change of heart and mind that is a prerequisite of the practice of mercy. Whether the church is able to achieve this change of heart remains to be seen, as Duterte’s drug war continues and the return of the death penalty looms. Now more than ever, the church is called to be the witness of God’s mercy and of that radical salvific love of Christ that saw worth in even the least among us. Nastasia Tysmans is a writer living in Quezon City, the Philippines.